Roast cashew nuts and raisins separately in ghee and keep aside . Heat ghee in a heavy bottomed non stick pan. 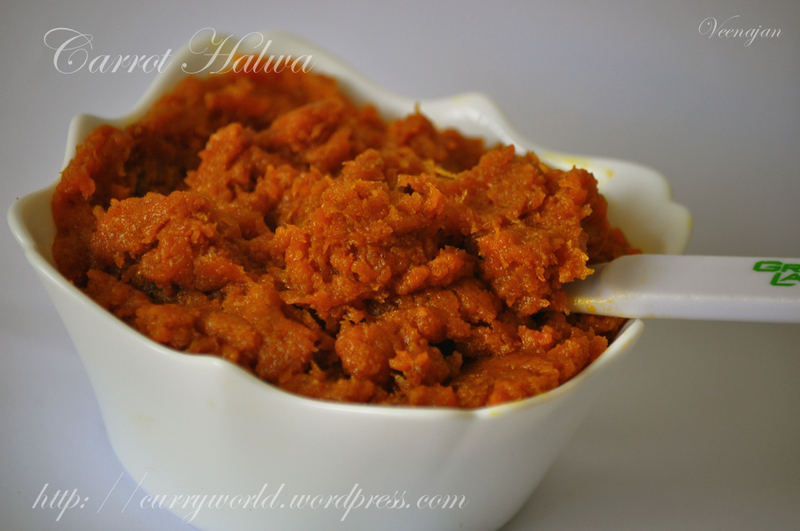 Add grated carrot and saute for 10 minutes in low flame . 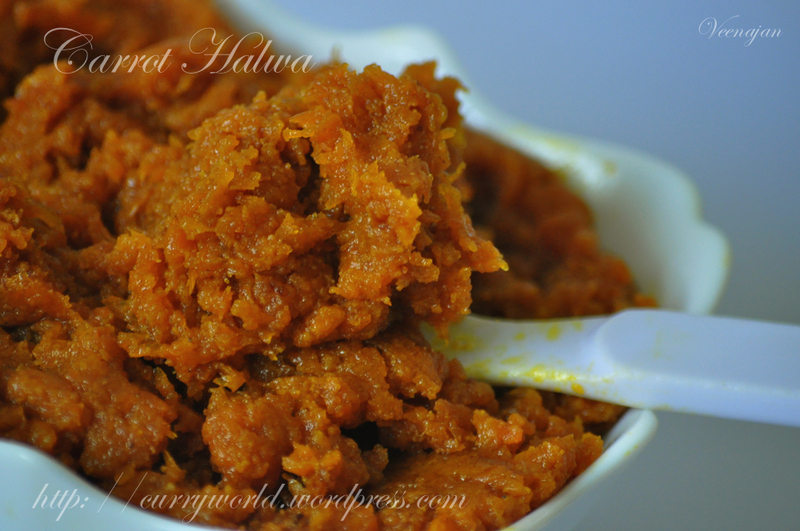 Finally add milk and bring to boil ..
After 10 minutes open the cooker and transfer this cooked carrot mix to the pan along with cardamom powder ,roasted cashew nuts and raisins ..
Stir this mix until all the milk evaporates ..
At this point halwa become soft and moist… U can see ghee oozing out from the halwa .. I added only very small quantity of ghee ,if u want u can increase .. Same thing with sugar .. U can increase or decrease according to ur personal taste. 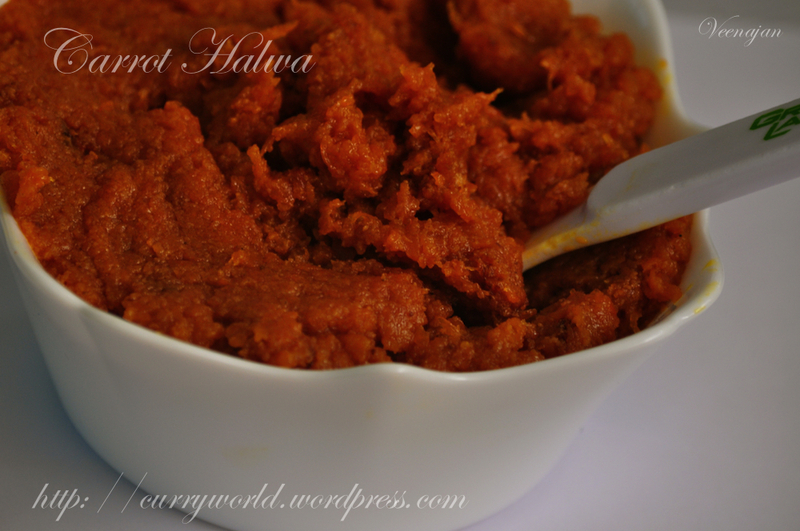 So the healthy version of carrot halwa is ready to serve ..
U can serve hot or chilled ..